A tiny fly at the heart of a row over a proposed Sutherland golf course has been added to a “globally endangered” list. Fonseca’s seed fly (Botanophila fonsecai), which has threatened to derail plans for a championship golf course development at Embo, is now on the International Union for the Conservation of Nature’s (IUCN) Red List of Endangered Species. The fly has only ever been found in Scotland, and only on the dune systems between Dornoch and Loch Fleet, where developers Todd Warnock and Mike Keiser want to build the Coul Links golf course. The fly’s presence has been used by objectors to try and thwart the development, which – despite being approved by Highland Council – is now the subject of a public inquiry. Craig Macadam, conservation director of Buglife said: “The endangered assessment places Fonseca’s seed fly in the same conservation category as the Asian elephant, tigers and the blue whale. “We must do everything we can to ensure that the threats to this unique Scottish species are avoided and the species is allowed to thrive. The announcement comes just weeks before Scottish Government reporters begin their inquiry. The developers have declined to comment. They have in the past offered to fund a PhD degree into Fonseca’s seed fly. Mr Macadam said the timing was purely coincidental. He said the assessment has been under way for months, and IUCN’s website is only updated every six months. The population size of the fly is unknown, he said, but it was deemed endangered by the loss of its range which would occur if the golf course goes ahead. 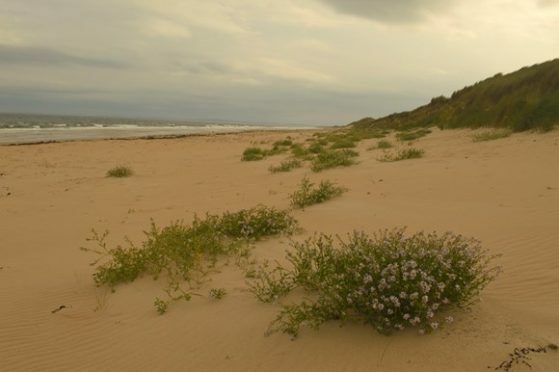 The IUCN says surveys are required to confirm that this is the only area in Scotland where it occurs, as there are other areas of potentially suitable dune habitat: Morrich More; dunes north and south of Brora; Culbin Dunes, Whiteness Head and Findhorn Dunes; Keiss Links and north coast sites to Durness; dunes from Lossiemouth to Aberdeen; and dunes from Aberdeen southwards. The organisation also recommends regular monitoring of the status of the fly and further studies on the ecology and requirements of the species.